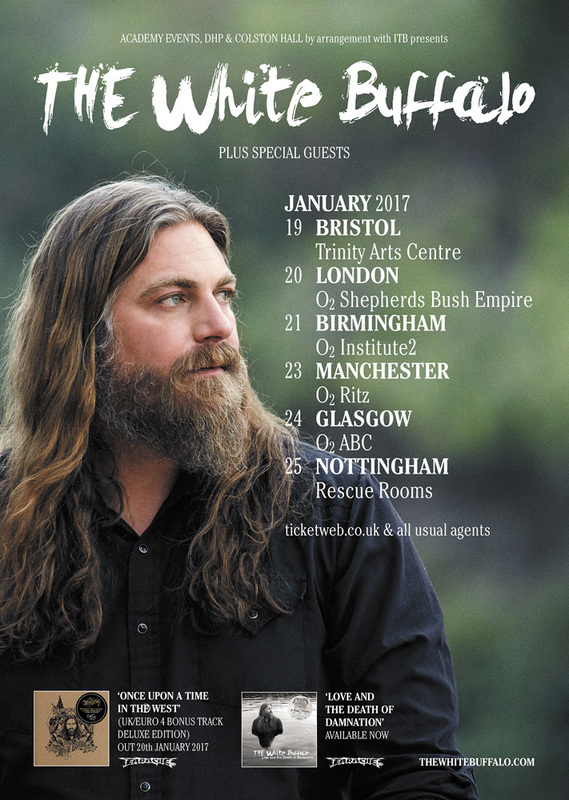 American dark blues singer/songwriter THE WHITE BUFFALO has announced dates for an early 2017 UK headlining tour. Due to kick off on January 19th in Bristol, the tour surrounds the release of a number of THE WHITE BUFFALO‘s back catalogue titles, which are being made widely available in Europe for the first time. Led by singer/songwriter Jake Smith, THE WHITE BUFFALO is probably best known for his numerous song placements in the TV series Sons of Anarchy, including the series finale song “Come Join the Murder“, which was co-written with series producer Kurt Sutter and nominated for an Emmy for Outstanding Music and Lyrics. CHILDREN OF BODOM Pre-Orders For I Worship Chaos Start Today!